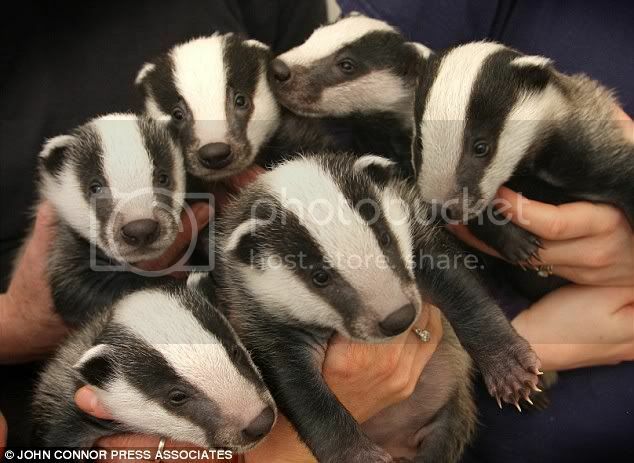 Man, how do you guys always know when I'm having an awful day and need the cheer of baby animals? In return, have some Baby Asian Small-Clawed Otters! Evil twin, what's that first creature? A clouded leopard? I thought it might be an ocelot, so I googled ocelot...I want one now. I think the first couple of kitties are baby leopards, black variation. "Melanistic phase" if you want to talk all zoologistic. A.k.a. "black panthers," but you can have black cubs and normal cubs born in the same litter. 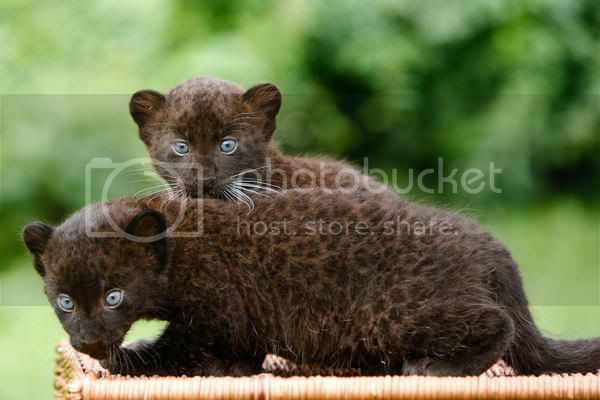 They might also possibly be jaguar cubs (which also have melanistic variants). But the body spots of leopards are open rosettes, whereas jaguars' body spots are rosettes with a dot in the center of them. The cubs look like they have the former. Stevo Darkly wrote: I think the first couple of kitties are baby leopards, black variation. "Melanistic phase" if you want to talk all zoologistic. A.k.a. "black panthers," but you can have black cubs and normal cubs born in the same litter. Live feed of lion kittens. You're so cute when you wax all zoologistical, Stevo. Thank you, my favorite Sciurid! The lion kittens are starting to walk around the den, but their mother is having a hard time persuading them to go outside and play. To them, the entire universe is contained within that den. So i achtualli has tree of tree of dees firbals. I love it when cats lay like that with their paws tucked under their chests. We call it "laying like a breadbox." And yes, these also have tiny noses. If Glenn Beck can call himself a libertarian, I can call a tapir a cat. Anyone eaten Tapir? The baby one looks tasty.